Anyway, Alexandria beat him 15,897 (57.5%) to 11,761 (42.5%)-- a big win, especially considering EMILY's List absolutely refused to endorse her. Everyone is Congress who got involved, including big women's champion Kirsten Gillibrand, endorsed him and only Ro Khanna backed her (although it was a dual endorsement). No one from the establishment took her seriously. Now they have to learn how to pronounce her name. Randy Bryce was delighted and speaking for fellow grassroots progressives said, "Tonight was yet another example of the Beltway getting it wrong-- regular, working people are on a mission. We’re on a mission to stand for our values and win the monumental battles at hand. Alexandria proved people wrong and I’m excited to serve with her and unite in defying the odds." This is a great day for for NY-14, a great day for progressives, a great day for Alexandria's team (including the Justice Democrats), a great day for the Democratic Party, a great day for America, a miserable day for Mark Pocan. The DCCC should fight Republicans-- and first learn how to-- and stop fighting their own party's grassroots and progressives. Syracuse voters slapped them hard across the snout, just the way voters in Omaha, Nebraska and Lexington, Kentucky did recently. 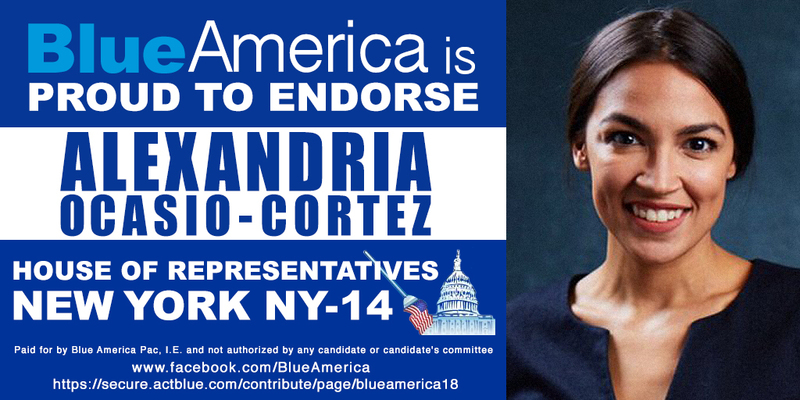 Yesterday's big DCCC win was NRA ally and right-wing Blue Dog Anthony Brindisi in NY-22 (Utica, Rome, Oneida, Cortland, Binghamton), who ran unopposed and will now face Claudia Tenney in the DCCC's favorite kind of race-- forcing voters to pick between the lesser of two evils. As long as we're on bad news, let's move on to Colorado, where one of the DCCC's worst candidates of the cycle, payday lender attorney Jason Crow, or one of his allies, sent out the robocall above. Sounds like Bernie, right? It isn't. Our Revolution endorsed Levi Tillemann, against the reactionary corporate shill Crow and Bernie didn't get involved. But every Democrat in the suburban Denver district got that illegal call yesterday. Notice there is no "paid for by" at the end of the ad. This is sickening and exactly what you can expect from Crow if he beats Mike Coffman, a moderate Republican incumbent who might be the lesser evil of these two. I know I'd never vote for Crow. He beat Tillemann 49,101 (66.1%) to 25,237 (33.9%) in a district that Bernie won in 2016. Socially progressive Jared Polis, a Boulder-based congressman, had a big win in a 4-person race for governor. Will he be the first openly LGBT man ever elected to a governorship? He'll face conservative Trumpist Walker Stapleton in November. 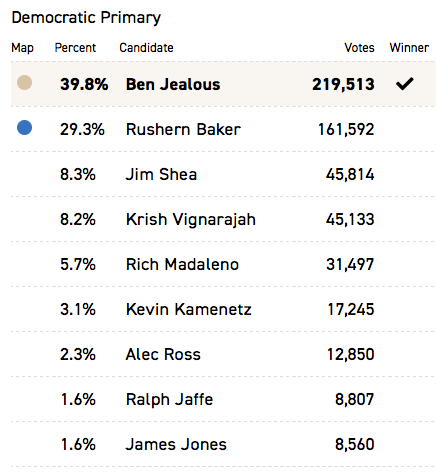 The other gubernatorial race we were watching was in Maryland, where Berniecrat Ben Jealous came out on top in an 9-person Democratic race. 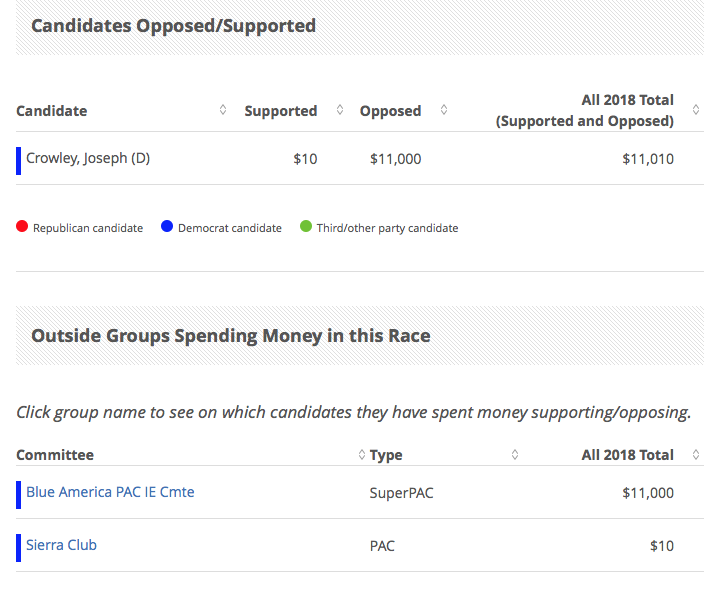 The only other race we were watching was the Oklahoma City congressional contest which goes to an August 28 primary runoff between garden variety Democrat Kendra Horn and progressive Tom Guild. 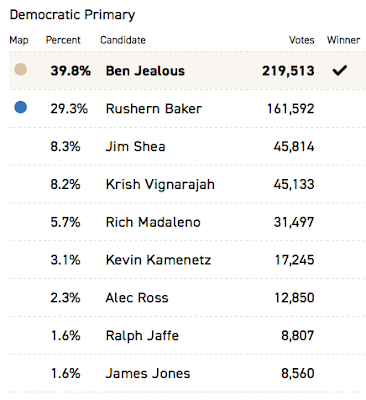 And there was one Republican race we were paying attention to-- NY-11 (Staten Island and part of southern Brooklyn). Mafia thug Michael "Mikey Suits" Grimm lost his come-back attempt to mainstream Republican incumbent Dan Donovan 12,774 (63.9%) to 7,219 (36.1%). We'll probably never hear from Grimm again, unless he's arrested for... judging by his past, it could be anything. 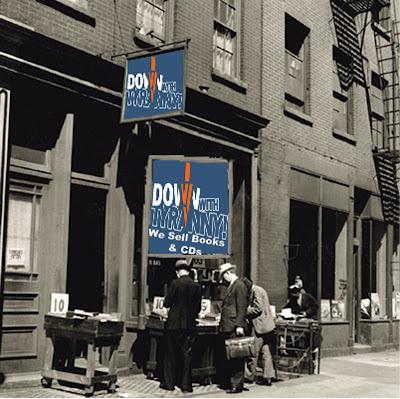 Donovan will face wretched Blue Dog Max Rose in November, another lesser of two evils contest. 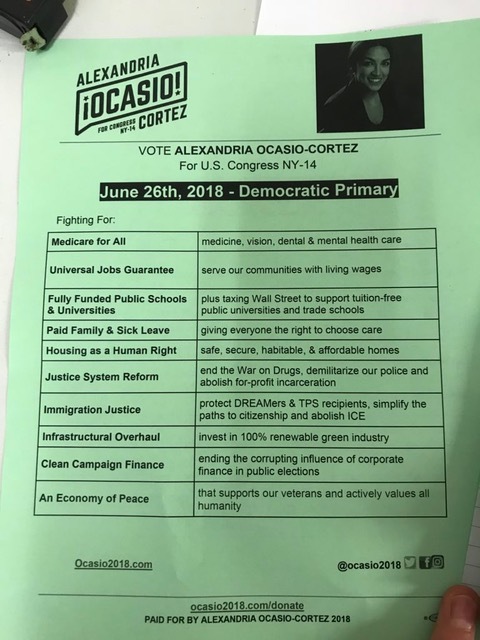 With Alexandria's win, whether she wins the general or not, wall street will have to find another whore in the succession list to democrap leader. Don't worry. They will. Maybe they already have. And Crowley isn't necessarily gone. He could chair the DNC, for example. Don't count him out. If wall street gets what they pay for from him, they won't necessarily stop promoting him. What that also means is another term for Pelosi as leader and, if the 'craps accidentally get a house majority, she'll surely be speaker again. They know exactly which Democrats will be doing their dirty work. Besides, they own the entire New Dems, the biggest and most powerful caucus within the Democratic Party. Wall Street never sleeps. "Socially progressive Jared Polis, a Boulder-based congressman, had a big win in a 4-person race for governor. Will he be the first openly LGBT man ever elected to a governorship? • Donna Lynne- 342,651 (7.3%)"
Maybe the DCCC should go back to attracting suburban Republican voters. That worked so well for them in 2016, didn't it? A new chapter in New York politics is born this unknown candidate who was a bartender one year ago is now one step away from becoming a congresswoman in the U.S. House she was outspent 10-1 this is proof that dark money can be beaten grassroots matter & every race is vulnerable think about the Eric Cantor race 4 years ago watch out Tom Perez & the establishment to the other 4 candidates who lost you gave it your best & you live to fight another day congratulations Alexandria best of luck on your race in November. This isn't the time to celebrate. There remains much time for the Party hacks to sabotage her. You know they would rather see a Republican elected than to have someone like Alexandria take office. Yes i realized that both establishments work together & her campaign has 5 months to prove to the voters in District 14 why she's the real choice than her GOP opponent for that seat it's politics it's a dirty corrupt world we live now but i believe she's up for the challenge & will do well in November if she doesn't then i'll admit i was wrong. TY DWT for validating my claims with names and numbers. Wanna bet about himes being elevated in the succession list??? he certainly can spread the $ugar around can't he??? Actually, Anthony Brindisi is the endorsed candidate of all Indivisible groups in the 22nd district in NY. 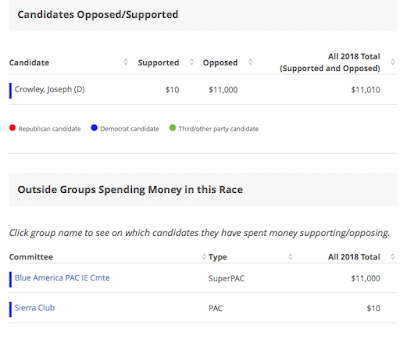 He is not taking corporate donations and he has substantially outraised Tenney. Just as you accuse the DCCC of being out of touch with the locals, you seem to be out of touch here. His NRA rating comes strictly from his vote against the NYS Safe Act which is widely disliked in upstate NY. Find someone local to help you understand the district or stop trying to analyze from a distance please. Sure, 10:13. Jump in when the real work is no longer possible.